This bit of a belated post, but I realized I never shared the handmades Blake received for his birthday! After making a crown for MaKenna last year, all the boys requested one as well. Blake chose his own colors, purple being his favorite. Of course, I also had to needlefelt two of his favorite things-a football and a sea turtle. The sea turtle was a bit of a challenge as he chose green felt for the sides, but I think I managed it okay. Jacob had decided that he wanted to make Blake a plaque so he sketched out the design and Daddy woodburned it onto a piece of wood. It came out great! And of course there was a mama made in there too! I used the same sweater pattern as Parker's Christmas sweater. The only modifications I made were adding length to the sleeves and body. And it fits, perfectly. Which normally would be a good thing, but I was really hoping it would be a bit roomy for growth so he could wear it next fall/winter. His legs tend to grow more than his torso so I am keeping my fingers crossed! He was able to wear it a few times before it was just too warm for a wool sweater. Daddy chose the yarn color (Knit Picks Wool of the Andes in Winter Night) which we all like, but I really like him in a lighter blue. This was the first time using this yarn and it has held up very well! 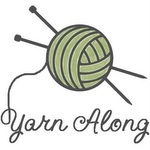 It isn't as soft as some other yarns I have used, but I will definitely use it again.